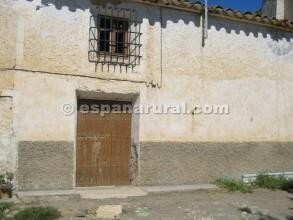 Mid terraced house situated in a charming hamlet of houses, it is in need of renovation. Comprises of; entrance hall, arched larder, big lounge with fireplace, another room to the back and upstairs a further 2 very large rooms. Patio to rear of property, mains can be re connected, telephone and internet can be connected, good access road to the property.